Description River flows are above normal and air temperatures are increasing slowly. The spring phytoplankton bloom is slow to develop with visible blooms limited to smaller bays such as Sequim and Bellingham Bays. Noctiluca observed in East Sound on Orcas Island, coinciding with high numbers of jellyfish. Debris lines are mostly confined to Hood Canal. 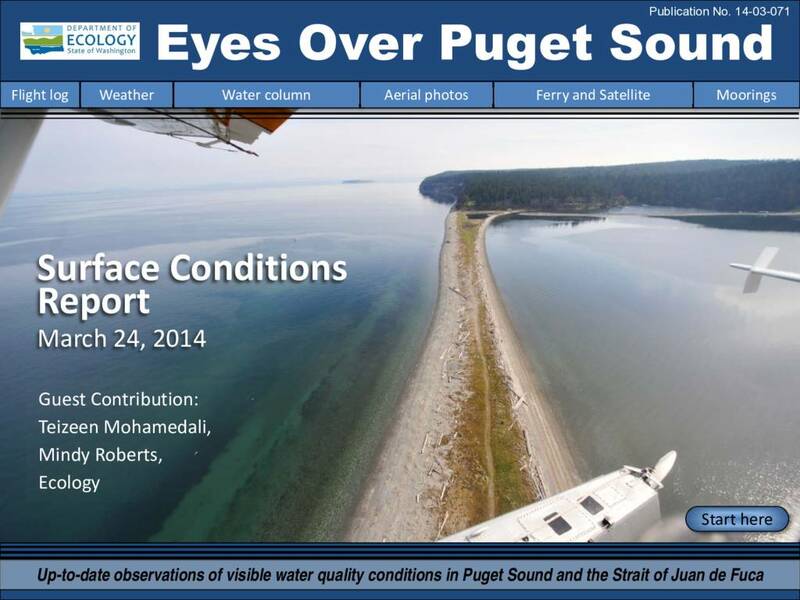 Pockets of colder water observed in Central Sound and Hood Canal, likely from the colder, saltier conditions that developed during the winter in the northern regions. Oxygen is variable yet close to expected ranges. Sizable oil sheens were sighted in Gig Harbor and Carr Inlet.